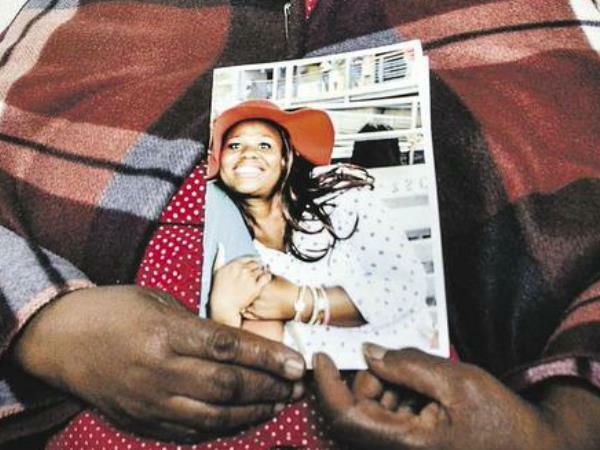 A woman who was shot dead in front of her 7-year-old son in Soweto on Monday was three months pregnant with her third child. The last time Masabatha spoke to her mother was Monday morning when the young girl left for school. She said Masabatha should tell her brother Thato not to go to school because he was sick. Later on Monday afternoon, when the mother waited in her new white Corolla in front of Khula-Nolwazi Primary School in Bram Fischerville for Masabatha, she was confronted by two armed men. Thato was in the car with her. “They pointed the gun at Thato and told him to get out of the car. Then they walked around the car,” Ramohai said. She was shot in the chest and died on the scene. The hijackers sped off in the car, which was later found in Dobsonville. Masabatha told how she heard that someone was shot outside the school. When she went to look she recognised her mother’s clothes. When she saw onlookers crying, she knew her mother was dead. “All I see when I close my eyes is my mother lying dead,” said the 12-year-old girl, while her brother sat next to her. He had few words and could only muster a few smiles. Their father is in shock and did not want to talk about his wife's death. “Even now I don’t believe it. I think it’s a dream,” Masabatha said. “I didn’t think I’d be here and think of my dead mother. I said to myself that there isn’t a problem because one day God will come and I will see my mother again. Police spokesperson Kay Makhubela said cases of hijacking and murder have been opened.